We recently saw the introduction of a totally new kind of drug test: a revolutionary portable system which analyses fingerprint sweat to accurately detect recent drug use. 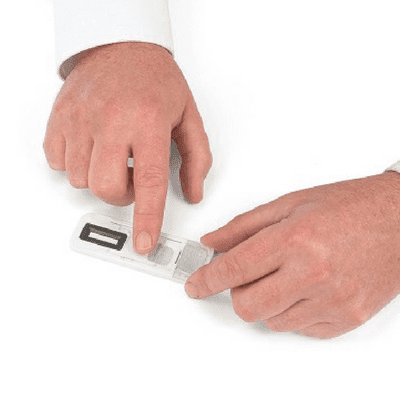 Place the Intelligent Fingerprinting Drug Screening Cartridge on a solid, level surface and ask the sample donor to press their fingertip firmly onto the sample application pad for five seconds. Then slide the Cartridge cover across to lock in the sample and protect it from tampering or contamination. Follow the simple on-screen instructions on the Reader 1000. Enter donor reference details and insert the Cartridge when directed, then select Test mode. The Reader analyses the sample. 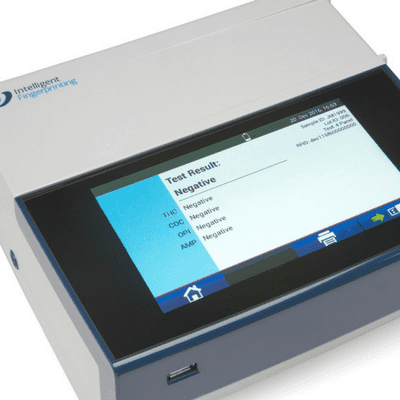 Within ten minutes, analysis is complete and the Reader provides a clear positive or negative on-screen result for each drug group in the test. For more information watch our short introductory video to fingerprint drug screening. The Cartridge is small and lightweight, especially compared with traditional urine cups which are bulky to store and transport. The Reader 1000 is compact and portable and can be operated using mains power or via the internal rechargeable battery. This makes it perfect for workplace drug testing as the system can be moved from site to site as required, supporting all kinds of drug screening including pre-employment checks, random and regular tests or post-accident investigation. Another strength of the system is its non-invasive approach. Until now, employee drug testing has required the collection, handling and disposal of biohazardous body fluids such as urine and oral fluid samples. 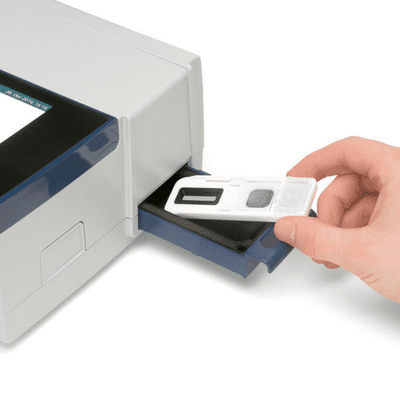 Fingerprint drug tests are hygienic and easy to handle so testing can be carried out by non-medical staff and there’s no need for specially prepared collection or waste-disposal facilities. Moreover, the Reader provides clear on-screen results which can be downloaded onto a USB stick or printed immediately using a compatible label printer, removing the onus on the test administrator to interpret test lines or manually record results. An active workplace drug testing policy plays a vital part in helping to deter and identify drug misuse by employees. Conventional drug screening tests that require the collection of body fluid samples can be costly, time-consuming and challenging to administer on-site because of difficulties in obtaining and handling samples, the need to set up special collection areas and provide trained – often gender-specific – collectors. Existing methods can also be intrusive or undignified for the employee and the sample collector. 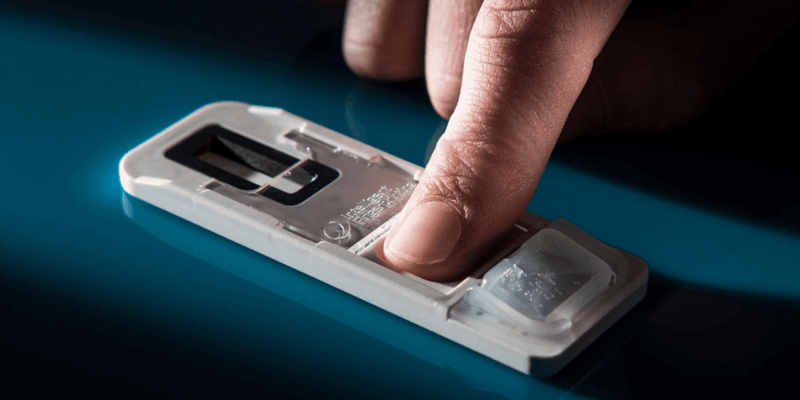 In contrast, fingerprint drug testing is easy to implement wherever and whenever it is needed, offering a versatile and effective means of supporting a company’s drug screening policies. 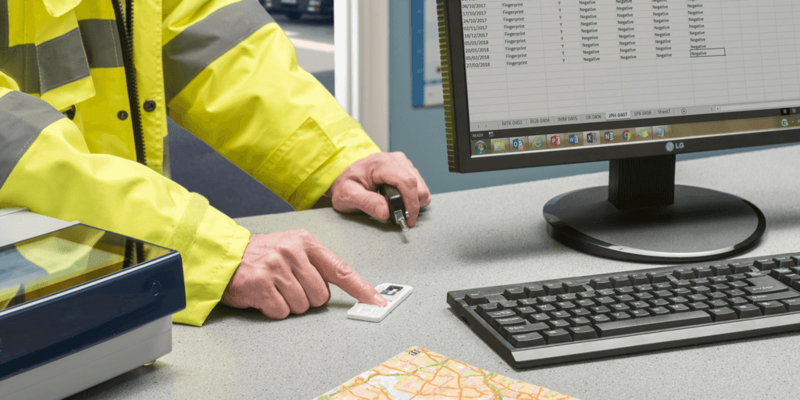 Please get in touch with us today to find out how Intelligent Fingerprinting could help to bring your business three steps closer to simpler, more convenient and cost-effective drug screening.